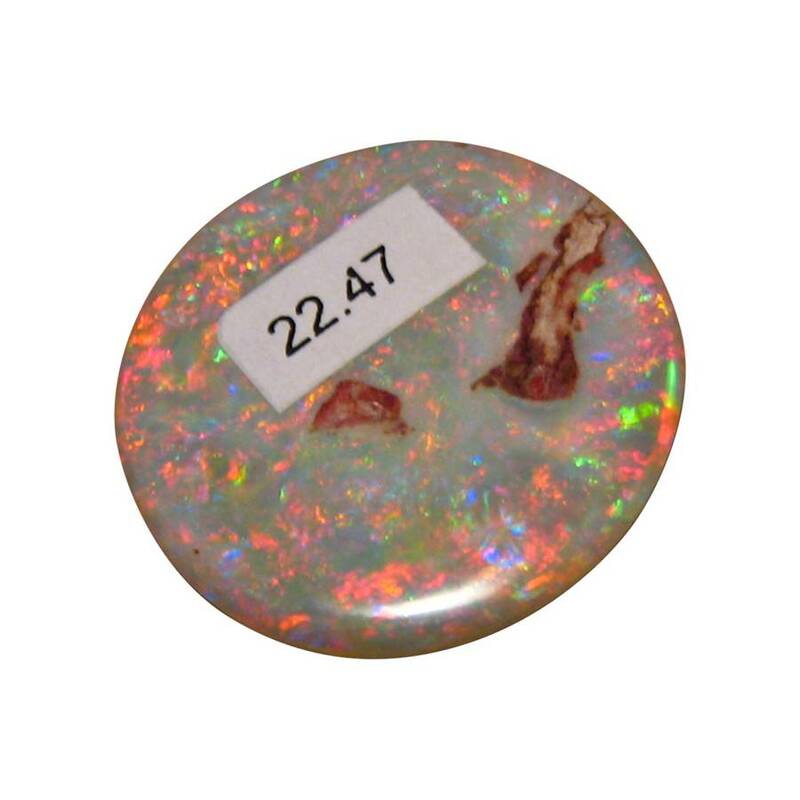 A large Light Crystal Opal stone from Coober Pedy that is almost round flashing bright Red and Blue. 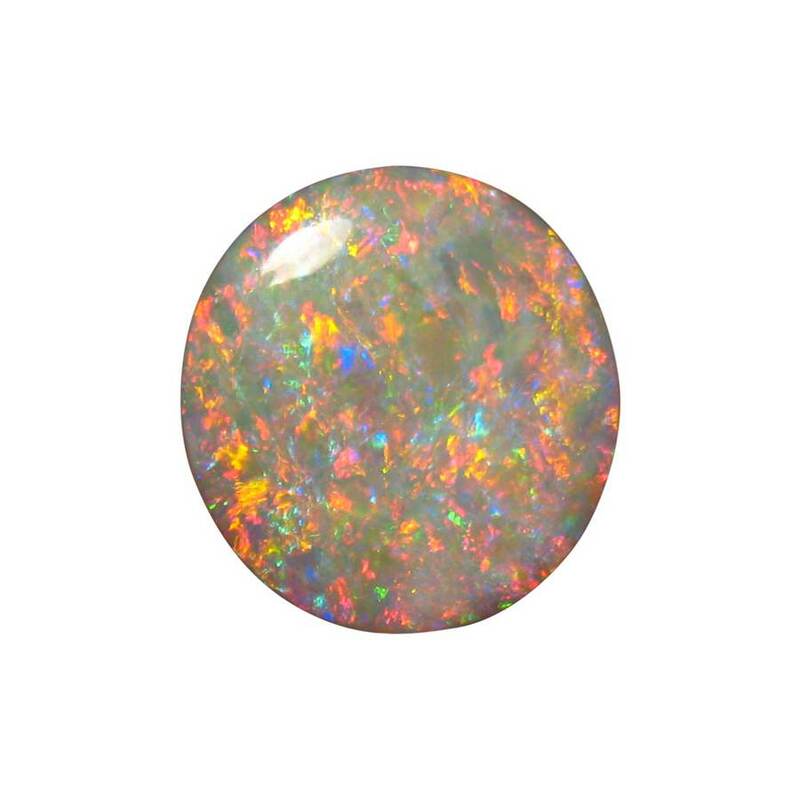 A big Opal that is amazing due to the colors and brightness to be found in such a large stone. 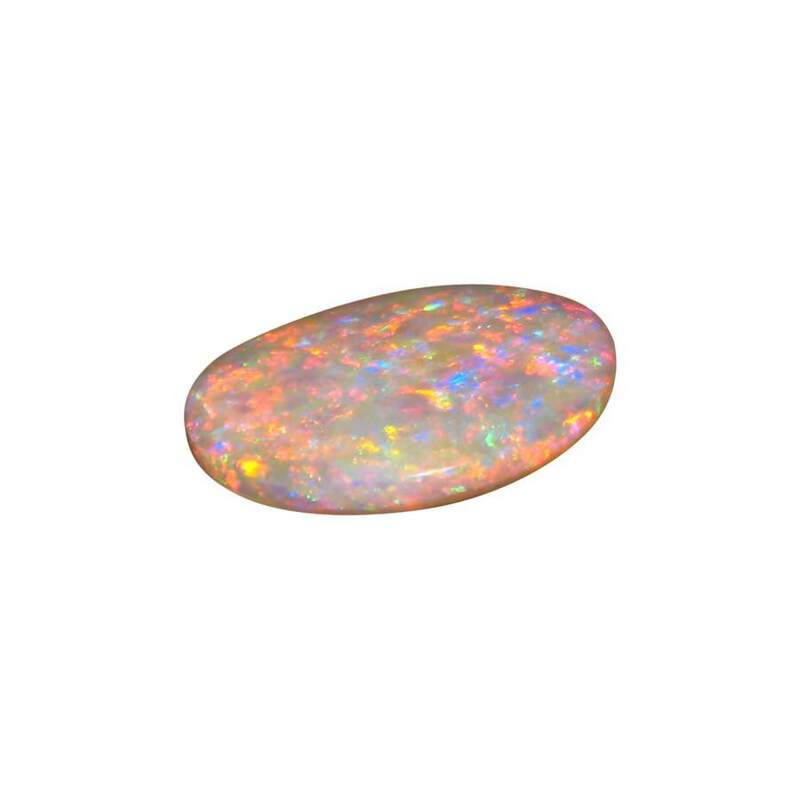 Cut to almost round in shape and finished with a high polish, this stunning gem is from Coober Pedy and has a body tone of N8 being a mix between a Light Opal and Semi Crystal Opal. 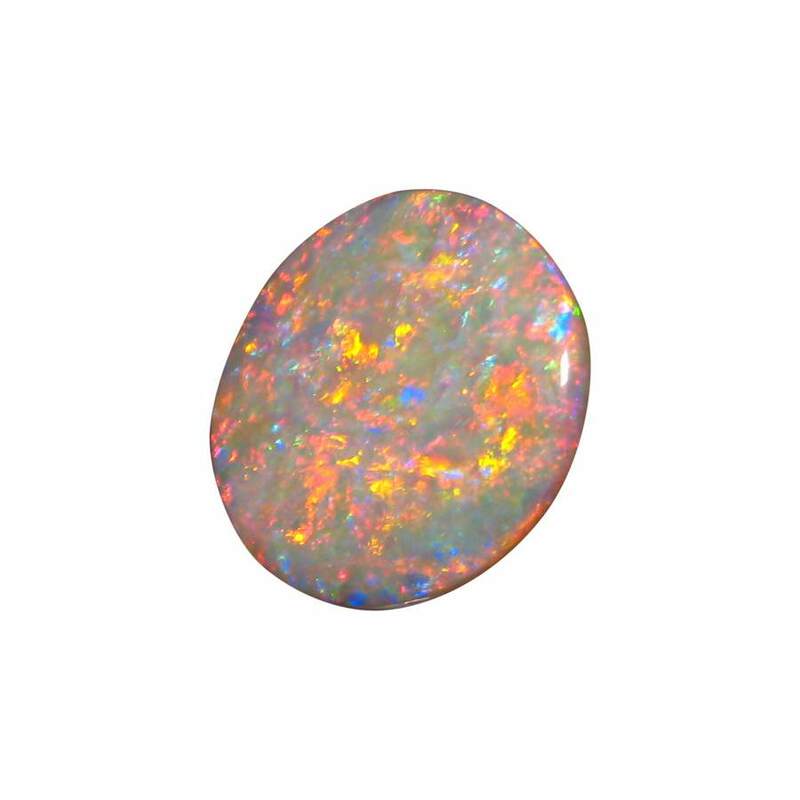 Weighing over 22 carats, the Opal flashes bright Red and Blue in a lively play of color you will see in the video below. 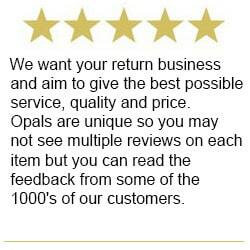 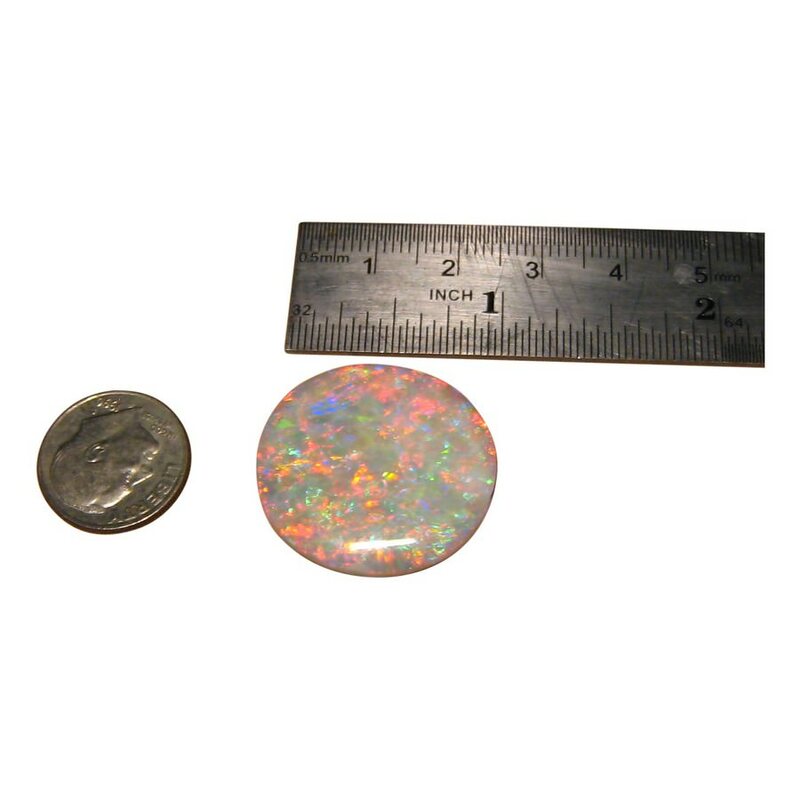 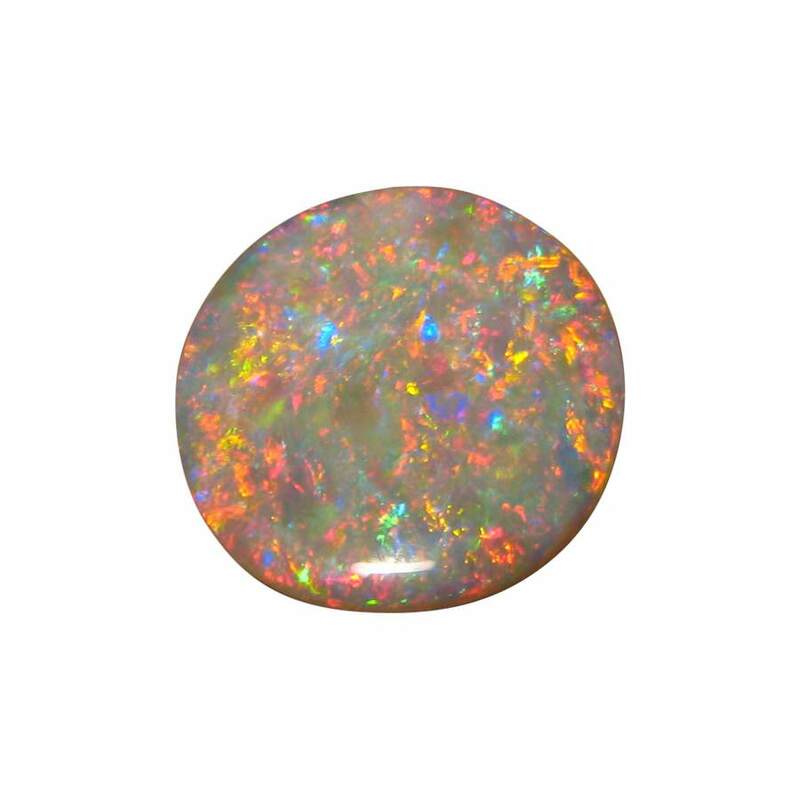 A thick Opal at 5 mm, it would make an outstanding Pendant or is ideal for a Collector of quality unset stones. 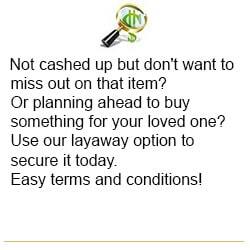 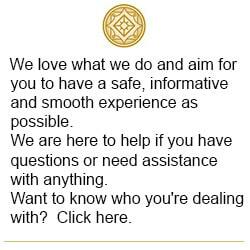 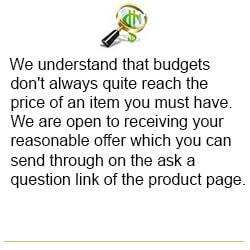 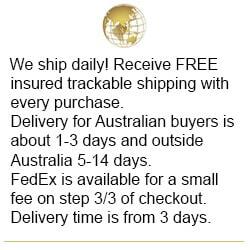 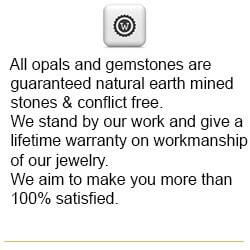 If you would like assistance with having this very special stone set into a custom designed piece of jewelry, simply contact through this product for a no obligation quote.